We aim to be the trendsetter in the retail industry in Sarawak. Along with leading international brands that bring details standards to a new high, VIVACITY also brings the most diverse and the best dining experiences to Kuching. Designed by one of Malaysia’s top Architecture firms, Archicentre, and the very same team that designed Setia City Mall in Shah Alam, Kuala Lumpur, VIVACITY Megamall is planned to raise the level of retail experience in Kuching by leaps and bounds. 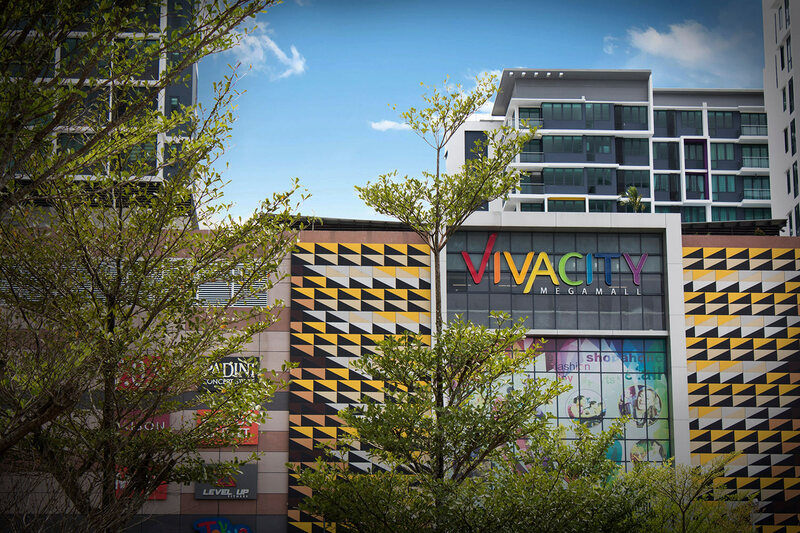 The Jazz Suites @ VIVACITY – 672 units of condominiums and suites provides a daily and ready catchment of at least 2,000 consumers for retailers in the mall. Designed by one of Sarawak’s top architecture firms, Akimedia, this uber cool set of apartment suites is primed to be the trendsetter in condominium living in this integrated development design. A carpark planned for safety and convenience with 3,800 parking bays at basement, podium and roof levels, each with its own dedicated entrance and exit. Copyright © 2019 Vivacity Megamall. All Rights Reserved. Disclaimer: Vivacity Megamall has made every attempt to provide accurate information on this website and to the best of our knowledge, the information on this web site is correct. By visiting and using this web site, you hereby agree not to hold us liable for anything that may arise from any information given in the site. Vivacity Megamall makes no representation about the suitability for any purpose of the information contained in the documents and related graphics published at this web site. The documents and related graphics published at this site could include technical inaccuracies or typographical errors.